Celebrate the city that has your heart by wearing it on your sleeve. Celebrate the city that has your heart by wearing it on your sleeve. When Ola Shekhtman couldn't find jewelry featuring the buildings and landmarks she wanted to remember, she made her own. "During my life, I traveled a lot and always wanted to keep my impressions from significant moments with me," she says. 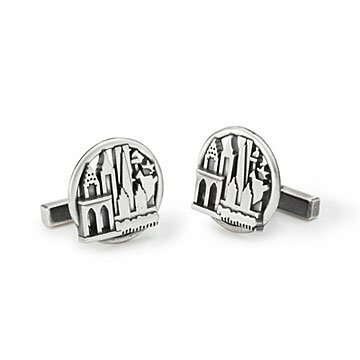 Cast in sterling silver, the details on these cufflinks will remind you of the place you love. Made in Erlanger, Kentucky.